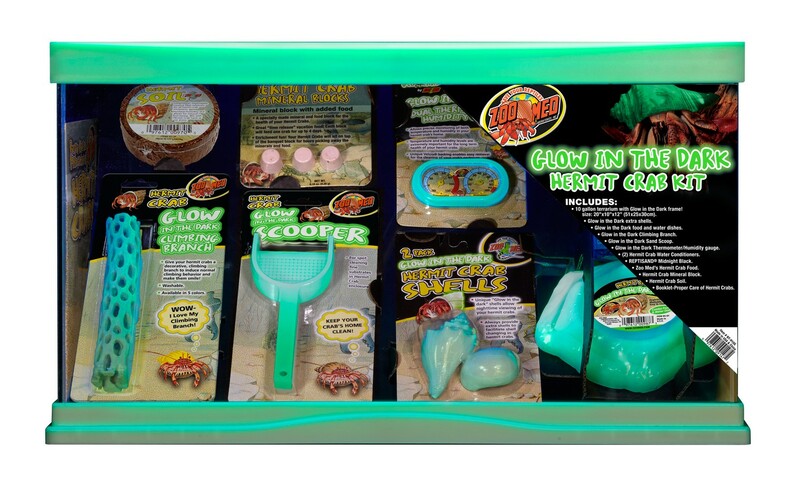 10 Gallon Glow-in-the-Dark Hermit Crab Kit | Zoo Med Laboratories, Inc.
Start your new Hermit Crab Habitat with this cool 10 gallon, Glow-in-the-Dark Terrarium! Comes with all the basics to starting Hermit Crab habitat. Zoo Med’s Hermit Crab Kit is a great starter kit for new Hermit Crab owners. Have Ashley show you the steps on how to set one up.